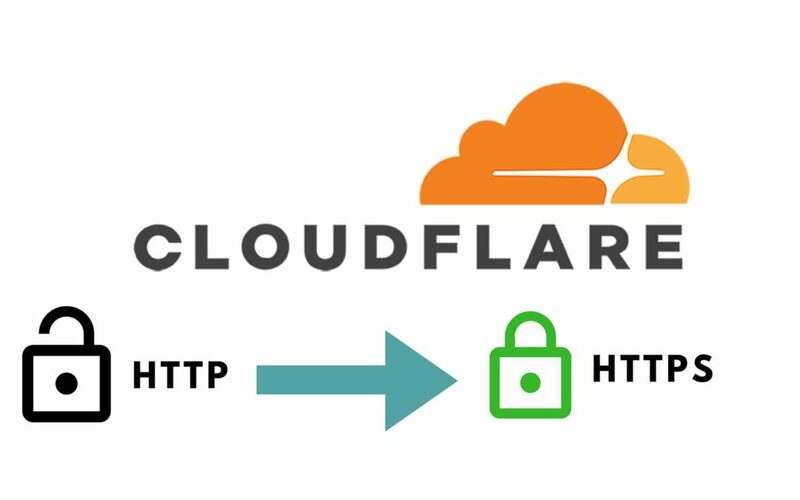 Looking for Cloudflare Free flexible SSL Certificate and CDN for your WordPress website to improves loading time then Cloudflare is the best choice. A website that has SSL certificate and loads faster, ranks higher in the search engine result page (SERP). Recently Google has announced a new algorithm update called speed update (which will roll out from July 2018). With speed update Google to use page speed as a ranking factor in mobile search. For the desktop version, this update was roll out in 2011. According to Wikipedia Cloudflare provides a content delivery network, DDoS mitigation, Internet security services and distributed domain name server services, sitting between the visitor and the Cloudflare user’s hosting provider, acting as a reverse proxy for websites. According to Google, a website should load within 3 seconds and the page size should not exceed 500KB. With the use Cloudflare CDN you can reduce your websites loading time for free. If a website takes times to load then it will also increase bounce and will affect search engine ranking. The SSL certificate increases trust both the visitor and search engine that also improves search engine ranking of the website. Cloudflare not only provides free SSL certificate and CDN but also add an additional layer of security, block bots and spam comments from the website. There are many paid CDN and SSL certificates are available, but if you are looking for these services for free then Cloudflare offers these services both CDN and SSL certificate for free. Cloudflare also offers some paid plans too. there are also some other companies that offer paid CDN services like Max CDN etc. So, without any further delay lets gets started. Before you start, you have check whether your cpanel has Cloudflare app in it. If your cpanel doesn’t have Cloudflare app then no problem. you can use Cloudflare website. 1. First, go to the Cloudflare website and sign-up. 2. Next, you have to enter your website. 3. Choose the plan whether you want a free plan or paid plan. The paid plans offer some additional features. In this case, I will go with the free plan. 5. Now, select the plan for your Cloudflare account. you can choose from a free website, pro website which will cost around $20/month and a business website which will cost around $200/month. 6. Lastly, you have to change your nameserver from the old ones to the new Cloudflare DNS nameserver. 7. To change nameserver you have to go your domain service provider, in my case I have purchased my domain from Godaddy. 8. Choose your domain and under additional settings, you can find manage DNS option. Click on the manage DNS. 9. This will take you to the new page where you can find nameservers option and click on green change button and paste the nameserver given by Cloudflare and update your nameserver. These complete changes will take 24 to 48 hours to update the nameserver (sometimes the DNS changes within 1 hours). Next, update your web pages from HTTP to HTTPs. But if you are using WordPress, then it can be done by just installing a plugin called really simply SSL which will convert all the web pages to HTTPs. Just install and active the plugin. After activating the plugin you will get a notification to convert all the existing web pages to secured pages. After your DNS gets activated, go the dashboard of your Cloudflare account and you can see you in the overview tab where it saying that your website is on Cloudflare. 2. Under enabling Accelerated Mobile links, convert enable accelerated mobile links an show SMP logo before links to ON. 3. In rocket loader section choose automatically. 4. Now click on the caching tab above go to the caching level option and choose a standard option and keep rest of the option by default. 5. In the page rule section first, choose browser integrity check and make it on. 6. Now choose browser cache TTL, make this to 30 minutes. 7. Next, choose security level and select high. and at last, click on save. If you are using WordPress then you can link your Cloudflare account either by W3 total cache or the Cloudflare plugin. I will recommend going with W3 total cache where under extension option you can find Cloudflare option and activate it by pasting the API key. If your WordPress site still takes time to load then you can read this post on how to speed up a WordPress site. Follow these steps to setup Cloudflare free flexible SSL with free CDN and DNS and make your WordPress site load faster. If you have a question regarding Cloudflare free SSL and CDN, fill free to comment below. It is actually a great and helpful piece of information. I’m glad that you just shared this helpful info with us.